Georgia Luedi-Fuller’s illustrated children’s book “Bobby House” and Fuller Center President David Snell’s collection of travel observations “The Tattered Passport” are both available now exclusively through Amazon with proceeds from each book raising funds for The Fuller Center for Housing’s work around the world. 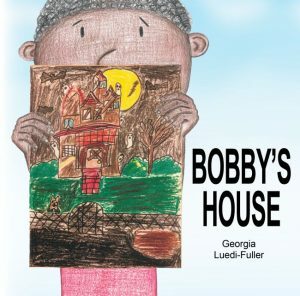 “Bobby’s House” is a story by Georgia Luedi-Fuller about a young boy’s transformation after moving from a dilapidated house to a beautiful new home. Told in beautiful rhyme children will love, the story is sure to teach them a lesson about not being quick to judge and the need to build a better world. Georgia Luedi-Fuller knows a thing or two about building a better world because she is the daughter of Fuller Center founders Millard and Linda Fuller. The book is packed with colorful illustrations by Georgia, her daughters Naomi and Sophie, and boasts a cover illustration by an art contest winner, Yoselin Hernandez. Georgia’s mother Linda served as as the primary editor for the book. 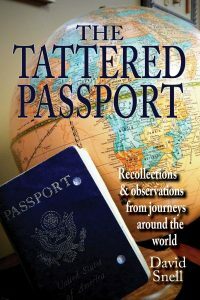 “The Tattered Passport” did not begin as a book. It started as notebooks and journals full of observations as David Snell traveled around the world — often well off the well-trodden tourist paths — to exotic lands and forgotten villages in quest to help them have simple, decent places to live. As he recounted stories from his travels, someone told him, “You really ought to turn these stories into a book.” With so many recollections already written down, it only took a little editing and production to pull it all together. Now, you can enjoy David’s perspectives on such places as North Korea, Sri Lanka, Nepal, Democratic Republic of Congo, Nigeria, Armenia, Nicaragua, Haiti and Peru.